Valpak of Palm Springs can help your business spread your brand’s message with shared direct mail marketing that brings down the cost of advertising for everyone involved. There’s room for plenty of ads in our Blue Envelope of coupons. The fashion in which your ads arrive is up to you – though we’ll help you design each piece. Choose from coupons, multipanel flyers and more print formats. While our print services get your business’ name into households via mailboxes, our digital solutions can help you reach residences through their web browsers. Get a business profile page or custom website to bolster your business’ presence in the Palm Springs area and beyond. Our local team is Google Ads certified and Valpak is a Google Premier Partner. Paid online advertising offers instant visibility. Valpak of Palm Springs provides cost-effective pay-per-click services as well as SEO. And if you want to connect with people on the go, there is no better way than to place an offer on your valpak.com Business Profile Page. Get the full picture of your advertising campaigns and your return on investment with our performance tracking solutions. Our tools will keep you aware of consumer engagement with your print pieces and ensure you’re informed of clicks and conversions on your online ads. Partner with Valpak of Palm Springs today. We’ll put your brand in the hands of desirable addresses in Palm Springs, Palm Desert, Indio, Cathedral City, La Quinta, Desert Hot Springs, Rancho Mirage, Coachella and neighboring cities in California. For specific dates and coverage, contact your Valpak of Palm Springs representative. 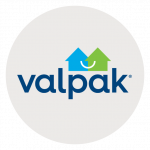 Valpak of Palm Springs is an independently owned Valpak franchise.